Weighty Matters: Farm To Cafeteria Canada Offering $10,000 Grants. Should Your School Apply? Details Here! Farm To Cafeteria Canada Offering $10,000 Grants. Should Your School Apply? Details Here! When I first heard about Farm to Cafeteria Canada grants I immediately asked if they wanted to write a guest post explaining how they work. Happily Carolyn Webb, the Coordinator of Sustain Ontario’s Edible Education Network, was able to do so. Would you like to see a similar quote from your school next year? “The salad bar was a huge hit today. Local carrots, kale salad with Hollyhock dressing, 3 potato salads -a traditional, a wasabi & a vinaigrette; (our vegan option) Amazing nut & bean veggie burgers, baked Halibut with sea asparagus tartar, and barbequed teriyaki spring salmon. Phew! Student prepared, right down to the condiments. (Gid Galang Kuuyas Naay Secondary School, BC). Farm to Cafeteria Canada is offering $10,000 grants that would allow elementary and secondary schools in British Columbia, Ontario, Quebec, and Newfoundland and Labrador to implement a Farm to School program that includes a salad bar meal service. Farm to School brings healthy, local food into schools, and provide students with hands-on learning opportunities such as growing and cooking that foster food literacy and enable students to make healthy food choices, all while strengthening the local food system and enhancing school and community connectedness. The Farm to School Movement is growing across Canada. Today more than 1,100 schools and campuses across Canada have identified that they are providing more than 775,000 students with an opportunity to experience Farm to School through school gardens, cooking programs, salad bars and other activities. These schools and campuses estimate they spend nearly $17.5 million annually on local foods. 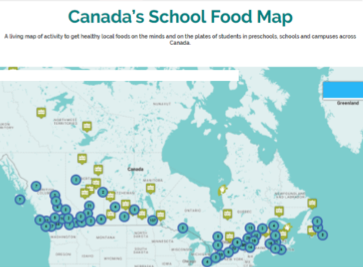 For more information about Farm to School’s growth in Canada check out Canada’s Farm to School map. Students eat more servings of fruits and vegetables (on average .99 - 1.3 more servings), consume less unhealthy foods and sodas, reduce screen time and increase physical activity. Students are willing to try new and healthy food, and choose healthier options in the school cafeteria and at home. More students plan and prepare meals at home and more young children ask their families to make healthier purchases. Students are more knowledgeable about their food and the food system. Students achieve enhanced overall academic achievement, including grades and test scores. Food service staff have increased morale and knowledge about local foods. Each new farm to school job contributes to the creation of 1.67 additional jobs. Up to $2.16 of economic activity is generated for every $1 spent. 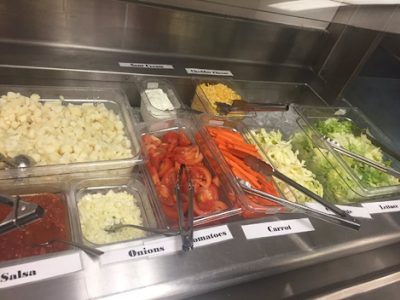 Farm to Cafeteria Canada is proud to champion Canada’s National Farm to School movement and has established the Farm to School Salad Bar grant stream thanks to contributions from the Public Health Agency of Canada and the Whole Kids Foundation. The aim of these grants is to get more students and school communities engaged in growing, purchasing, harvesting, cooking, serving, learning about, and eating healthy local foods at school. For more information about how to apply for our 2018 grant opportunity please visit the Farm to School Canada Grants 2018 page. Applications are due by March 31st, 2018. For more stories of inspiration from our 2016 grantees visit our Farm to School Canada Grants 2016 page! 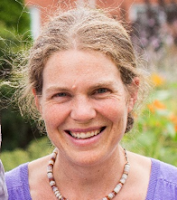 Carolyn Webb is the Coordinator of Sustain Ontario’s Edible Education Network, a network that brings together groups in Ontario that are connecting children and youth with healthy food systems. The Network’s mission is to better enable these groups to share resources, ideas, and experience, work together on advocacy, and facilitate efforts across the province to get children and youth eating, growing, cooking, celebrating, and learning about healthy, local and sustainably produced food. Body Weight Set Points. Sociology, Or Physiology?